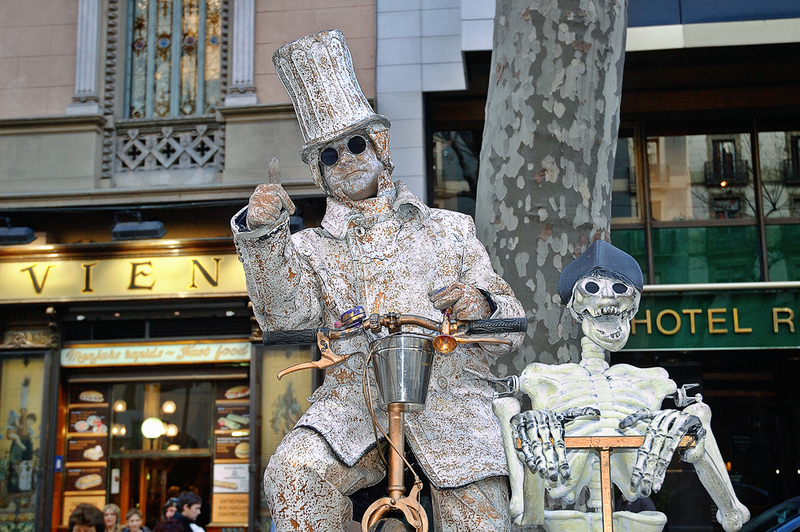 A familiar human statue in Las Ramblas de Barcelona, the man with the skeleton, pedaling both at the same time. I was used to watching him or them dressed in other colors, check it here: Human Statue in Las Ramblas - Biker. He had no problem posing for the camera after the coin hit the bottom of the can. De facto são fantásticas estas estátuas humanas.